Hartlepool Primary Schools Key Stage 2 Performance Tables 2018: How does your child's school rank? 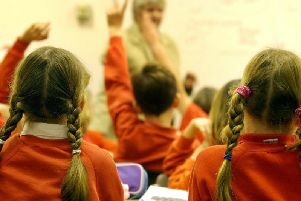 Performance tables for Hartlepool's primary schools have been published. Tables showing how well Hartlepool's primary schools are performing following this year’s Key Stage 2 national curriculum tests - commonly known as SATs - have been published. According to the Department for Education (DfE), 67% of pupils on are meeting the national standard - higher than the national average of 64%. The tables show that Greatham C of E Primary School fared best with 100% of its pupils meeting the expected standard when it comes to reading, writing and maths. Headteacher Nicola Dunn said: "We are absolutely delighted with our results and for two consecutive years we have had 100% meeting the expected standard in reading,writing and maths. "These results are down to the hard work and dedication of our amazing pupils and staff." Click here to see how Hartlepool's primary schools fared. Oliver Harness, Hartlepool Borough Council's senior school improvement officer, said: "We are very pleased with the achievements of our primary schools. "As in previous years they have succeeded in delivering an excellent education for our primary pupils in readiness for the pupils' secondary education."